The Polish team fights tough for every meter on the Cesen route in adverse conditions. Denis Urubko has climbed up furthest so far. He reached an altitude of about 6,550 meters above Camp 2 a few days ago. K2 is the last remaining of the 14 eight-thousanders that has never been scaled in winter. The Polish “Ice Warriors” want to change that. 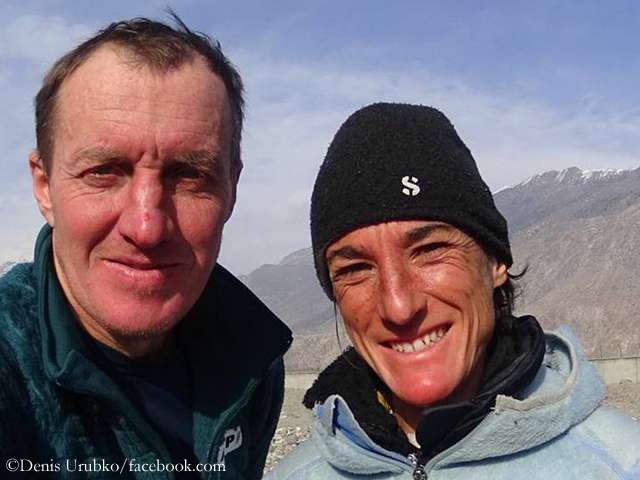 Urubko and Bielecki returned from their rescue on Nanga Parbat on 2 February. As reported, they had managed to bring Elisabeth Revol safely from the mountain. 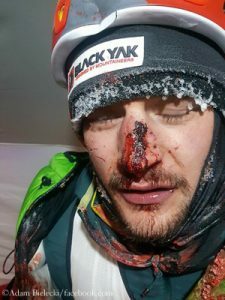 The Frenchwoman and the Pole Tomek Mackiewicz had fallen into trouble after their summit success. 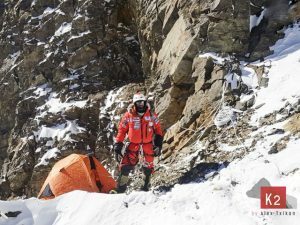 Tomek – suffering from snowblindness and severe high altitude sickness – had stayed behind at 7,200 meters, unable to descend further. The search for him had been stopped because of the bad weather and the minimal chance of finding him alive. 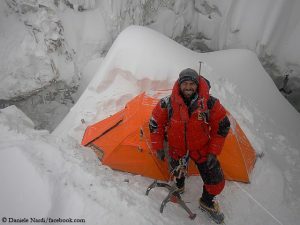 Meanwhile, in the base camp at the foot of Mount Everest, the Spaniard Alex Txikon, the Pakistani Muhammad Ali “Sadpara” and their Nepalese team are waiting for their next chance. 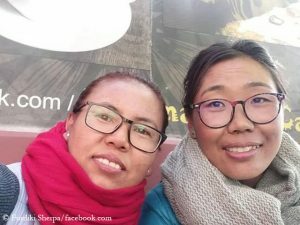 At the end of January, they had reached an altitude of 7,850 meters before being forced back by a sudden change in the weather. Txikon and Ali want to scale the highest mountain in the world without bottled oxygen this winter.